We’ve been very happy with Clapham Park Montessori and I believe this nursery has made a tremendous impact on the lives of our children. Our older son had grown and learned so much which gave him very easy transfer to the pre prep school. He is 7yo now and still has very good memory about the nursery and happy for his younger brother to attend. Our little one who is 3yo is very exited to come home and tell us what he was doing during the day. We love the nursery and highly recommending it. Clapham Montessori is a wonderful preschool! Before starting, I went to one of the parent evenings and I highly recommend this opportunity to meet with the team of teachers expert in Montessori education. It is a fabulous occasion to see the Montessori environment and get familiar with the unique material. 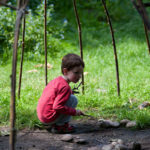 Clapham Montessori is one of the few rare places that offers such a natural and traditional Montessori teaching, combining indoor and outdoor time. We would like to say a heartfelt thank you to Ros, Magda and all the dedicated teaching staff at Clapham Montessori, for their unstinting patience and support with our little boy. He has definitely been testing for all at times (!) but through their methodical and structured approach, they have nurtured him and worked with us to create a happy, and much more receptive child. We are absolutely THRILLED with the great progress he has made during his time with them. Clapham Montessori is a warm, wonderful, caring and fun place for children. Our three children have attended sessions there since 2011 (two are still attending), and they absolutely love it. All of the teachers are calm and kind, and they really talk to the children to help them to understand how to approach different tasks, and how to deal with all kinds of situations. We are very grateful to Lucia and her team for the great start that they have given to our children. My daughter started at the Montessori Infant Community when she was 16 months. She is now 4 years old and at Clapham Park Montessori. Both have given her a fantastic start to her experience of nursery/school. All the teachers clearly love what they do and very much make the wellbeing and learning experience of the children their priority. The teachers treat every child as an individual and give them the support they need to follow their own interests, to discover and learn at their own pace and to flourish. I feel my daughter has been given the support and environment she needs to both develop herself, and be herself. I really like the rounded attitude there is to learning. The teachers encourage independence, cooperation, respect, problem solving, exploration and learning though discovery. We are so grateful our daughter has had this time to follow her interests and develop her love of learning. With the help of her teachers, she has built a strong foundation, which I know will serve her very well for her move to Reception in September. 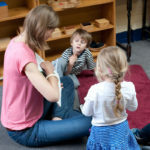 Clapham Park Montessori has been an important part of our families life for the last seven years, with our daughter and two sons all starting their education with Lucia and her wonderful team. The children’s house is a very calm, caring environment where children learn to be respectful of others from a young age. 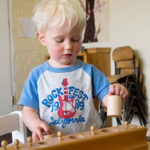 The extremely experienced staff treat each child as an individual and closely monitor their progression and development with the innovative and interesting Montessori materials. Our children have always been very happy to go to CPM and have grown in confidence and independence during their time there. We cannot recommend Clapham Park Montessori highly enough. Our elder son, Alexandre, attended Clapham Park Montessori for nearly two school years, starting in October of 2008 until July 2010. Since then, we have witnessed him grow in confidence, as well as develop physically and emotionally. His interests were very obviously being nurtured at Clapham Park Montessori. His current teachers have been very impressed with how curious he is and how easily he works with numbers. Perhaps what we are most happy about and proud of is the fact that Alexandre had always been excited to go to Clapham Park Montessori and he continues to love going to school. He continues to be excited about learning. 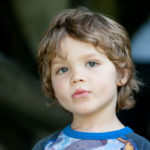 We look forward to having our younger son attend Clapham Park Montessori. I have never come across any nursery like Clapham Park Montessori. From the moment you enter the classroom, the atmosphere is calm and welcoming. Staff always greet children with genuine warmth and you can relax knowing you’re leaving them in safe hands. Each child is treated as an individual and the room is full of brilliantly inventive activities for the children to take part in. I have visited many other nurseries locally and nothing remotely compares to Clapham Park Montessori. The staff are highly qualified and see their role as far more than a job, but have a genuine love of their work and the children they care for. I would recommend it to any parent and plan for my daughter to stay here until she starts school, having been given the best start in life. Our daughter Zosia attended Montessori Clapham Park for a year before starting school. She is a special needs child and at that time could not speak and could only sign Makaton. The staff at Montessori Clapham Park welcomed her warmly. They accommodated her needs – for example, they all came to our house on a few occasions to learn how to sign Makaton so they could communicate with her. Zosia did very well at the school and began to speak while there. We are very grateful to Lucia and her staff for the warm welcome and the dedication that they give to the children at the nursery. My oldest daughter was in Clapham Park Montessori for only one year, and I wished we started her off earlier. I simply did not know about that school existed. 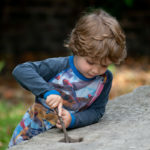 I was very lucky to have had a chance to do my Montessori training in Clapham Park Montessori! I have visited other Montessori schools around the area, but this one is very special. Now I cannot wait for my son to start. It is the most genuine environment I have ever seen! The children thrive there. It was such a pleasure being able to observe that. It has been a year since my daughter left and she still asks all the time about the teachers and remembers what she has learnt in CPM. We have a third baby on the way, and surely the choice again will be CPM. I cannot recommend it highly enough! Both our daughter and son have attended the Clapham Park Montessori and we can highly recommend it. We have been very impressed by Lucia and her wonderful team. They have successfully installed a love of learning in both our children and were most helpful with our son, who took some time to settle in. We found the nursery a very warm, caring, educational and calm environment and shall be sad when our association ends. Both of our children have attended Clapham Montessori school and loved it. Ros, Magda and the teachers are truly dedicated and great with the children. There is an amazing outdoor garden for the children where they can play and run around. They have both thrived at Clapham Montessori school and have learnt so much. I can’t recommend the school enough. 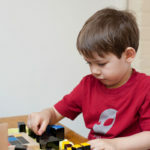 We started all of our four children’s education at Clapham Part Montessori and were parents there from 2003 until 2010. The nursery provides a very caring environment and all our children were carefully nurtured through a very happy two years there. Lucia Gomez Santana has been in charge for 12 years and this stability means that the nursery offers consistently high standards of care and teaching. All of our children learned confidence, independence, patience, respect for others and for their work all of which helped them enormously with their transition to primary school when the time came. They all thrived at the Montessori and we simply couldn’t recommend it highly enough. It has truly given our children the best start not only in their education, but on their journey through life. It is true that we cannot make a genius. We can only give to each child the chance to fulfil his potential possibilities.